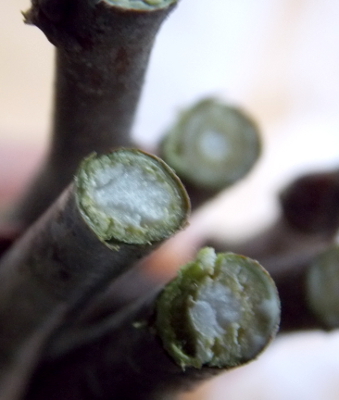 Over most of the U.S., the beginning of February is the perfect time to cut scionwood to be grafted onto rootstocks or existing fruit trees later in the spring. So the first task on my list for February in recent years has been emailing scionwood swappers who I've set up deals with earlier in the winter. We share mailing addresses and reminders of the scionwood we each want to swap. If you don't have anyone to swap with, check out this post about my two favorite website for online scionwood exchange. From hanging out with the North American Scion Exchange group, I've also learned that it's better not to wrap scionwood in wet newspaper. 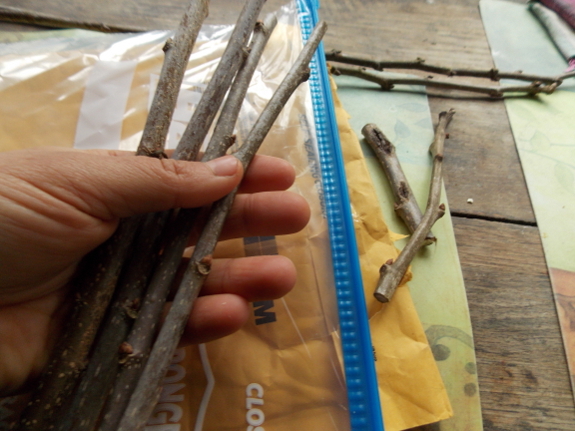 Instead, just cut fresh twigs, slip them inside a ziplock bag, and add one drop of water. A wit over there admonished us that if one drop of water really doesn't feel like enough...and one more. As for shipping --- a padded envelope seems to be sufficient, which will cost you less than $3 for small quantities. I've already got a tiny bundle of rare and precious apple scionwood waiting in the crisper drawer of our fridge for the rootstock to arrive. 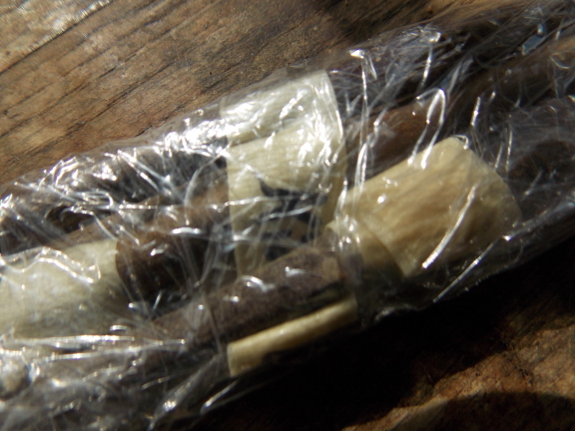 The pro who sent it painted beeswax on the cut ends of each twig, then wrapped the scionwood in plastic wrap. He seemed like an expert if his extensive list of apple varieties is any indication, so I suspect his shipping method is also quite effective. As a side note, I am willing to swap with newbies who don't have anything I want, but only if you do me a favor in exchange. 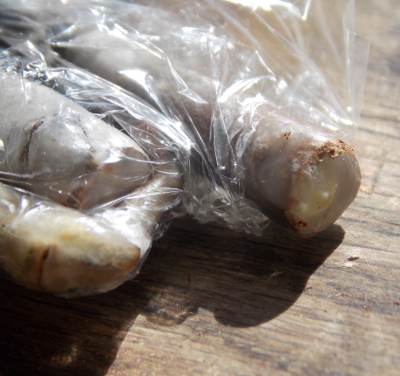 The favor usually involves taking a photo of your experiment so I can share it with future readers. So if you're interested in a fruit-tree variety you've heard about here, but don't have an orchard of your own yet, come up with a fun experiment and email me. Happy swapping! What a cool project. If I just didn't have a brown thumb :). I guess I could try to graft pear to quince? I do have a small quince tree.